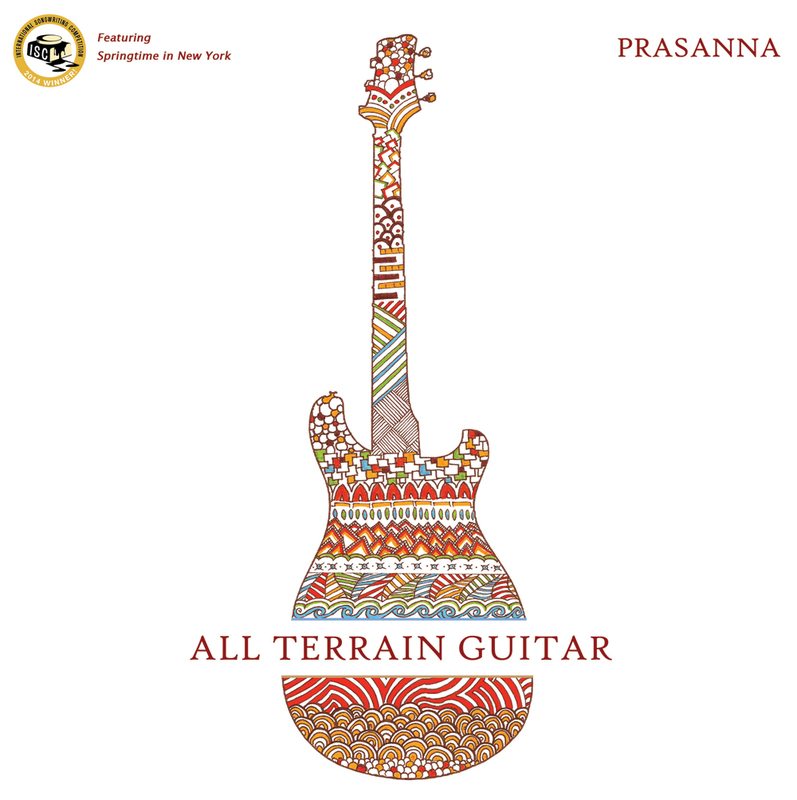 From his Carnatic musical roots in India, to his distinctive technical approach to playing guitar today, Prasanna challenges the listening audience to go on a ride with him. His newest CD All Terrain Guitar takes you on a musical journey, making a variety of stops along the way. JL: Is it true some of your earliest influences were western rock bands? P: Yeah it's true--believe it or not. In pre-Internet India growing up in the early 80's western rock bands crept in because some neighbor's uncle came back from the U.S. with some cassettes. By the time I was 13 or so, I was into Deep Purple and Led Zeppelin. JL: My introduction to your music was through your CD Electric Ganesha Land - with its crunchy overdrive guitar sounds, it feels like a pseudo-tribute to Jimi Hendrix. What did you take away from Hendrix' music? P: First thing is, just the fact that he opened the door for exploration in electric guitar for all of us. I think, if not for Hendrix, there wouldn't be so many guitar companies making all kinds of pedals and things. And for me, I wanted to be able to open up to guitar to something else in y culture and Carnatic music. It was a new road that I was getting into. I needed someone like Hendrix to be there to tell me, Hey, it's okay--you can do what everyone else might think is not possible. I think his inspiration was much more subliminal. 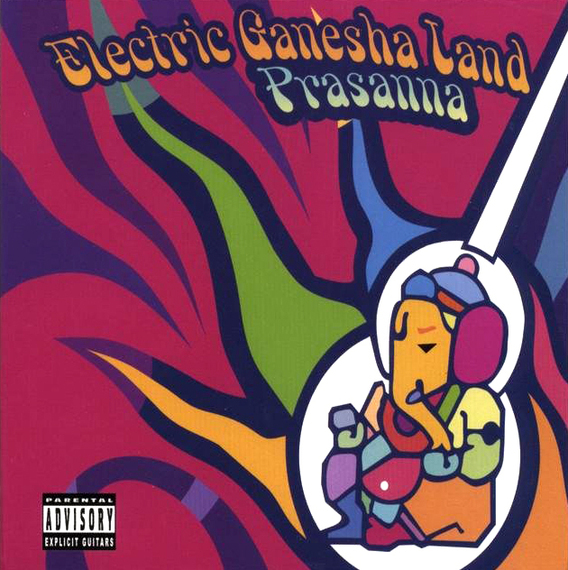 On a much more simplistic slate, the other thing about Hendrix that really opened me up and was the biggest inspiration for Electric Ganesha Land was the sonic exploration of what he did. The fact that he could wail and he could do so many things of the guitar. When you listen to the recordings, it sounds like they could have been recorded today. JL: You went to the Berklee College of Music in the 1990's. How did that experience change or challenge you as a musician? P: I think it is one of the best decisions that I made in my life. I also mean it in a very literal way because my background is very different from many other musicians. I had an engineering degree in naval architecture--I should be designing ships today (laughing). It wasn't easy for me to just decide to go to Berklee, there were so many factors that I had to think about. Am I ready for something like this? What if I don't make it in the music world? I was okay in India, but what if I don't make it in America? All these thoughts I put to rest just by the fact that Berklee was such an inclusive place for artists like me who come from a very different background, and was very guitar friendly. JL: Do you have a preferred genre of music that you are drawn to play, or do you find inspiration from different things? P: I don't have a preferred genre in any way--I can't. If I do, I would not be honest to what I do. I see it more philosophically. Like my new CD, All Terrain Guitar, it's an all-terrain journey for me. It's like what I tell people: the cool thing about music is, you can do whatever you want and it doesn't hurt people, and nobody breaks a bone if you play a wrong note or dabble with varying genres. I just tell myself that I should be who I am, reflect the personality of who I am and take advantage of the whole global explosion of thoughts that goes on in me. JL: Your new album, All Terrain Guitar is very Jazz heavy while seamlessly blending traditional Carnatic music from your roots in India. Do you remember the first time you tried to blend musical styles? P: Oh yeah (laughing). I remember people saying. . .What! They either loved it or they hated it. I guess it was probably when I was 14 or 15, when I use to play all these covers of Deep Purple or Led Zeppelin or Pink Floyd, and at the same time I had been learning Carnatic music, so I could do a few cool things, so I figured, let me try it out. So I would start to throw some of that stuff in and it would take my solos into a different direction, and people would be like, what is going on here? To me it was very cool because nobody expected it. Over time it got a bit more refined, and I thought, maybe I'm on to something. JL: You are describing your new CD like an automobile manufacturer describes vehicles. What's the most important thing that you'd like your listening audience to know about your All Terrain Guitar? P: I just want them to know that they're driving the vehicle--I'm just a passenger. What I did was put myself in the passenger seat of a vehicle driven by the audience. People, by nature, are very observant. Music listeners today--they hear this, they hear that--they have all kinds of music floating all around them, and might not be focused on it but, they are hearing everything. They are very open to multi-genre music more than you know, but most musicians don't give it to them. The artists tend to be safe. JL: Since the music that you play covers so many different styles of music, which type garners the biggest response from your audience? P: I think people now are pretty connected to the overall expression and much less the style. I play the guitar. And how long do we jam on the guitar in just one style? When you think about the guitar what does it mean? For some people it's blues, for some people it's metal, for some people it's flamenco. The guitar is kind of ubiquitous. All I'm doing is taking inspiration from the fact that I play an instrument, which is all across the board--all terrain, and all I have to do is just be. JL: Have you ever thought about doing a blues inspired CD mixed with Carnatic overtones? P: Sure. In fact, I do a bunch of shows in New York at this venue called Terraza 7 in Queens usually once a month. I just did a blues tribute to B.B. King, then I started to bring in some of my old inspirations like John Mayall's Bluesbreakers, but there is always Carnatic music finding its way in without me trying to find it. One way that you can look at my new CD, All Terrain Guitar, is as a sampler of many of things that I do for new audiences who don't know me. JL: If you were to teach a student about playing guitar, is there a certain philosophy that you prescribe to that each student must understand from the beginning? P: Yes. . .That is very dear to me because I do that so much. I have so many people that I teach, and many of them are amazing child prodigies--9 and 10 year olds that are playing at a professional level, so I am constantly reminded of your question. First, I think that the guitar is a fun instrument. I would like to teach people to be themselves. I definitely think that creativity has to be one of the things that needs to be fostered right from the beginning. And all we need to do is look at past examples of great guitar players. Most of the time, teaching tends to be so pedagogical, and so content orientated, that we don't allow our students to goof around, explore, make mistakes, play wrong notes, or play the worst chords in the world. I actually tell all of my students to do all of this stuff. Being creative and creativity can only come out of you just being like a child. The other extreme is that it is a serious instrument, and one has to look at the tremendous vocabulary that has come from the instrument. Instead of being bogged down by it, be inspired by it. 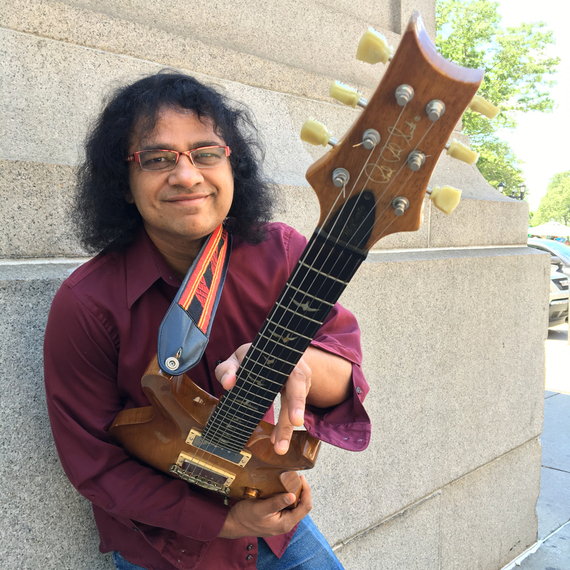 For more information about Prasanna and his music, visit his website: www.guitarprasanna.com.